Regina's Roaring Revival December 7, 2015 · 8 min. readThis article may contain affiliate links. Just over a hundred years ago, Regina boomed. The population exploded, the city expanded, and Saskatchewan was one of the most prosperous places in Canada. Regina's downtown was quickly covered in theatres; all complete with balconies and twelve piece orchestras. These theatres – the Lux, the Grand, the Princess, the Broadway, the Roxy and the Capitol, among many more – transformed Regina's downtown into a theatrical hub. As the city grew, the auto industry moved in and the GMC assembly line opened, employing nearly a thousand people. The arrival of GMC kickstarted the dream of Regina becoming a "Detroit of the West", with many believing Regina would continue to lead Canada in economics and trade for years to come. The 1930s shattered that belief. The Great Depression paralyzed the auto industry, forcing the GMC plant to close. Drought and severe dust storms raced across the prairies, and "black blizzards" rocked cities, decreasing visibility down to less than a meter. The storms covered the majority of North America, spanning from Canada to Texas and as far east as New York. The Great Depression along with the "Dirty Thirties" stalled the growth of Regina. Programs were put in place to create sustainable work, but farmers were still frustrated and a riot broke out downtown, killing two people. This riot punctuated just how far Western Canada had fallen in a matter of years. Regina, along with the rest of Canada, entered World War II in 1939. The former GMC assembly plant became a munitions factory, and air hangers were built to defend against Japanese fire bombs. From 1939 to 1945 the city was a war machine. Post World War II, the city tried to recover and regain its former status, but the economy had transformed. Immigration brought in more people and the city continued to grow, but without jobs many looked for employment elsewhere. Downtown's theatres struggled and one by one they were sold, closed down, destroyed or burnt to ash. 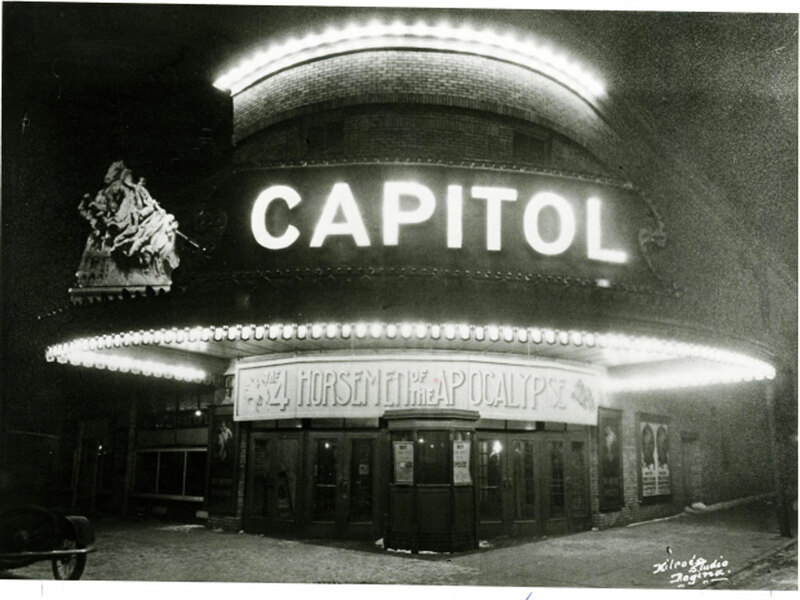 The jewel of the city, the Capitol Theatre, also struggled to compete with the larger box office cinemas and was forced to close its doors. The death of the Capitol was the end of theatres and art in downtown Regina. This is how the city would remain for twenty years. Lately, however, Regina's downtown has seen a revival. 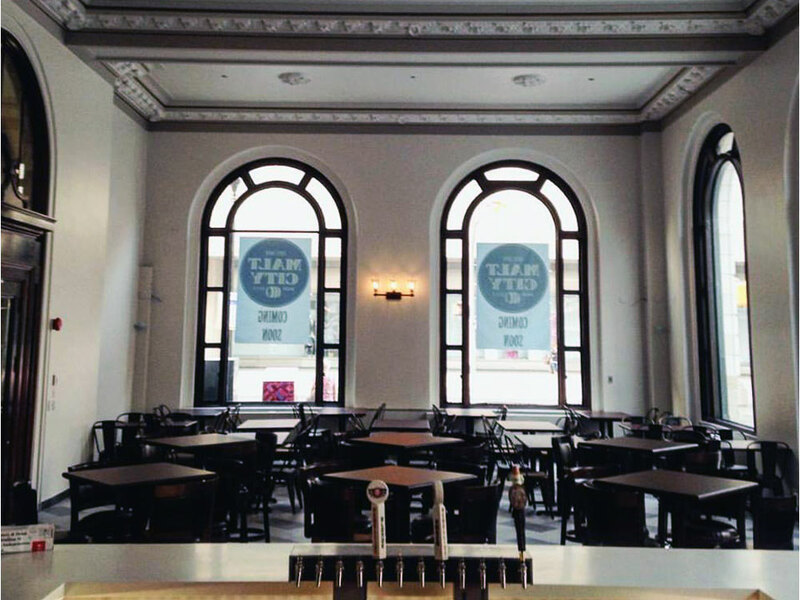 New venues are popping up throughout the area, all embracing Regina's long forgotten dream. 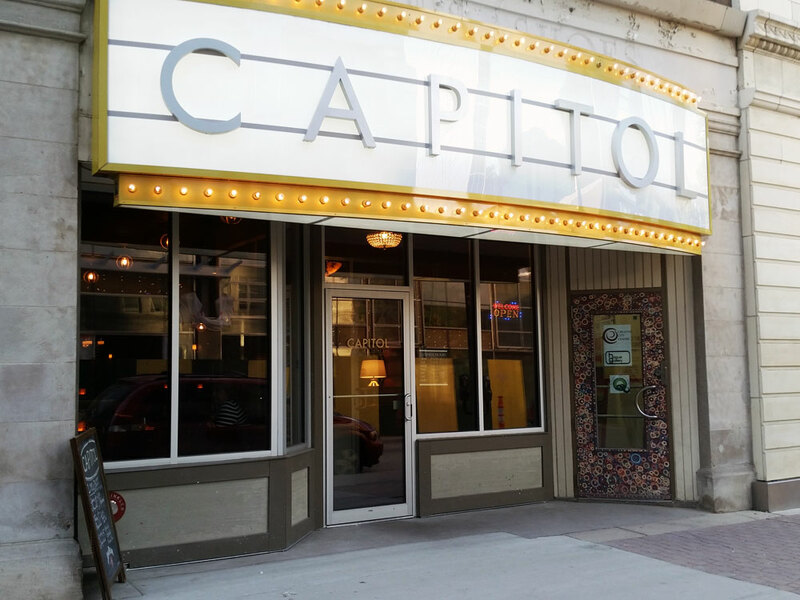 One of these places even decided to revive the former Capitol Theatre, but with a 21st Century twist: no longer would the Cap be a theatre, but a tapas and jazz club! 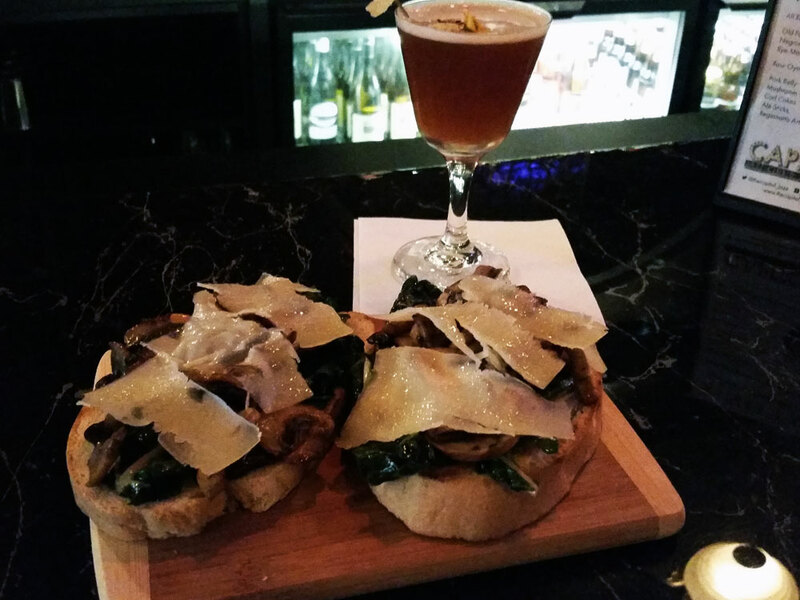 The new Capitol even pulls menu items from nearly a century before, such as their signature "Four Mushroom and Cheese Toast" (which is delicious) and a great variety of cocktails. Even the entrance of the Capitol is reminiscent of the original theatre, with a bright yellow sign and period typography. The Capitol also has live jazz twice a week, one on Tuesday (yes, tonight! Are you going?) and another on Saturday. 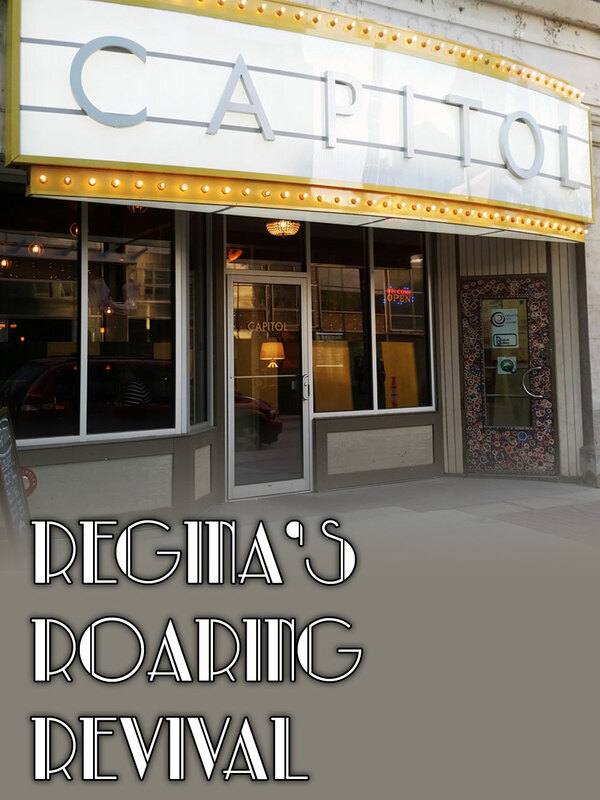 With a relaxing, speakeasy-esque atmosphere, the Capitol revives an era long forgotten by most Reginans: one of flapper girls, suit jackets and lively music. While the revival of the Capitol is very exciting, it isn't the only place that is grasping the anniversary of the 1920s. Malt City, another restaurant downtown, occupies one of Regina's most iconic structures, the former Canada Life Assurance Building. Embedded in a Chicago-styled structure and adorned with rare coloured terracotta emblems, the restaurant is homage to Regina's past. Sporting mouthwatering dishes such as "Big Crunch Wings", "Shrimpin' Fries", "Cheese Toasties" and "Club Crunch", their menu is a blast from the past full of unique flavors and local treats. However, it isn't just the restaurants that have embraced the ‘20s jive. Music venues across the city are featuring incredible artists such as Carlo Petrovich and Kaitlyn Semple, daughter of the award winning Jack Semple. 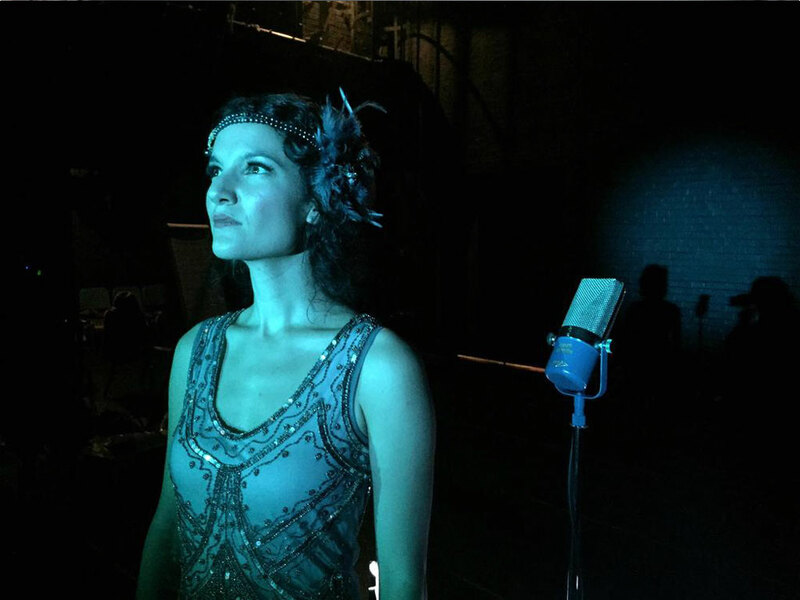 This past summer Kailtyn did trio of shows across Saskatchewan, with her finale being in Regina's iconic Darke Hall. She advertised her show, Speak Easy, as "an entertaining evening of toe tapping tunes and fun loving choreography that will transport you to that dangerous and cheeky prohibition era." The Regina Jazz Festival put on their annual JazzFest this summer, with Israeli artists Ester Rada and Halifax-based group Gypsophilia opening the show. Over 40 local artists performed during JazzFest, in various venues around the city before and after their headliners. These artists include groups such as the Ryan Hicks Trio, the Red Wagon Gypsies, the Pile O' Bones Brass Band, Christine Jensen, Little Miss Higgins and the Dead South. If prohibition era trumpets, saxophones, drinks and dances don't get you jiving, Regina also hosted the "Roaring 2020s – Regina Edition" this past November at the Exchange. This performance by "four dapper DJs" from Winnipeg -- Nathan Zahn, Chris Komus, Manalogue and Lotek -- brought with them a new twist to regular jazz and swing music: electrojazz and ghetto swing. The timeless genres of ragtime and jive were infused with todays' electronica to become a style of dance that is taking the world by storm. "A retro vibe with a future twist!" is how the show was described, and the reviews live up to it. Roaring 2020s was one of the biggest performances to hit Regina in years, and couldn't have come at a better time. With forgotten 1920s buildings being brought back to life, prohibition drinks overflowing cocktails glasses, jazz taking over the streets and musicians from around the world coming to perform, Regina is roaring back to life, much like it did nearly a century before. With one of the country's leading economies and in the midst of a population explosion, Regina has once again become the bees' knees. Ain't that just the cat's meow! Images taken from the The Capitol's Facebook Page, Malt City's Facebook Page, Jack Semple's Twitter and Roaring 2020s Facebook Event Page.